It's the future, and a once great nation is on the verge of economic collapse, a theme that feels oddly relevant in a post-Brexit Britain. It has fallen to you, a captain of industry, to save the economy, and you will do this by building factories, employing workers and exporting goods. If this sounds oddly topical of many countries in Europe, it's because it is and because the basic principles are based upon a simplified, yet real world, economic model. Of course the aim of the game is to score victory points, and you'll gain these by building factories and exporting goods. Unfortunately, you will often need raw materials to produce these goods, and workers, you know to do the actual work. If you have to bring in either of these from outside the country, you will lose victory points. This of represents that you are taking money out of the economy and to me is one of the clever aspects of the game. Not only is it asking you to make a careful decision, so that victory points become just as much of a resource as food, oil and minerals, it's also highly thematic. As I said the game is about a country on the verge of collapse, and this isn't just a nice bit of background fluff. Each turn you will be given an economic target and a track to represent the state of the economy as a whole. If you manage to beat the economic target then the economy improves, if your victory points aren't up to snuff the economic track gets lowered. This means that as a team you have to ensure that the country as a whole is working well. This is especially true as if the economic track ever falls to the bottom as then it's game over and everyone loses. This adds a quite a bit of tension to the game. As the economy slips it gets harder for everyone and at some points a cascade effect can occur, forcing the economy even further down. The only downside to this is there isn't anything in the way of mechanics to work together, all you really know is that if you screw over an opponent too much it can have a massive detriment to the game as a whole. Again the concept is right on theme, as being too greedy can have a selfish effect on the economy. We only saw a hint of this in our demo game at the UK Games Expo but it's easy to see how the game switches to a more cooperative game, especially at the higher difficulty levels. The economic targets start getting more and more ambitious and a switch occurs in the thinking of the game. Suddenly being purely competitive is a bad idea as you're just going to end the game early for everyone. The core of any game is decisions, and Crisis gives you meaty decisions aplenty. Not only are you trying to choose which factories to build, forcing your hand a little on what resources you need, you are also balancing this against the requirements of the market and the cost of resources. However, it's the labour force that I thought had the biggest impact. Factories can be used in multiple ways, there is a basic requirement to get the factory running, but by hiring the correct workers you can ratchet up the production of your factory. To me this was the real competition of the game and we found that grabbing workers was the most hotly contested spot. It may have been an early prototype but Ludicreation have put a lot of effort into the look of the game, creating a graphic style that is both functional and attractive. There are a couple of places, mostly the workers, where the iconography is a little small, and a lot of information regarding the cost of imports is right there on the board meaning you might have to stand up and give them a good look over before you can make your decision. However, it was still very clear and the wooden resource tokens where easy to distinguish. It's very difficult to find fault with Crisis, it's a medium weight economic worker placement, so of course that's not going to appeal to everyone but if you have already got this far into the review then it's probably the kind of game that you would like. At the higher difficulty levels Crisis is really punishing, encouraging a balance between competitive and cooperative play. There's a few minor improvements that could be made, like reference cards for the import and export costs to save having to stand up and look at the board, but on the whole the game looks amazing, flows really well and a real economic brain burner. If you've read my reviews before you'll know that I really do favour thematic games, and I have struggled in the past with Euro style games. However, over the last few months I have come to the realisation that I enjoy a euro game more when the theme is strong and runs through every mechanic of the game. This is why I enjoyed my play through of Crisis. No action felt purely mechanical, everything had a purpose and every purpose was thematically sound. 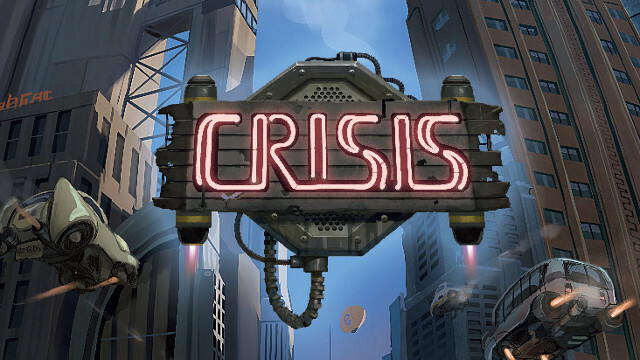 Crisis is on Kickstarter now. This Kickstarter review is based on a prototype version of the game played at the UK Games Expo with the designer and publisher.